Silvia is a senior faculty member of ANZPOP and coordinates the Two-Year Professional Training Program in Counselling and Facilitation. She is enthusiastic to pass on her knowledge and teach students the Process Oriented philosophy and theory that gives rise to the skills and metaskills of Process Work. 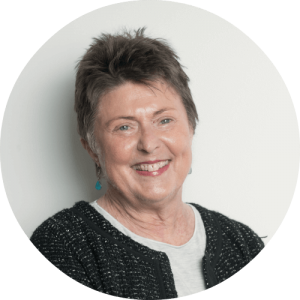 It was whilst looking for help with a personal relationship and health crisis in the mid-eighties, that a series of connections between health practitioners and counsellors lead Silvia to Process Work. In the Process Work model, for the first time in her life, Silvia felt understood and “seen” through being encouraged to express her own unique and often strange experiences. The idea that those experiences could be not only valuable – but point towards a deeper sense of her wholeness and a path of continuous personal and spiritual growth was exciting and over time helped her feel at home in herself. She then went on to study in Zürich with Max Schupbach, Arnold Mindell and Joe Goodbread before moving to continue studying in the United States and graduating in 1993. What gives me most joy in my work as a Process Work therapist is to embark on a journey of discovery and transformation by curiously exploring dreams, disturbances, movements and unusual states of mind with my clients. Silvia also supervises students at the Australian College of Applied Psychology and lectures part-time at the Queensland University of Technology. From 2003 – 2010 Silvia worked at Relationships Australia as a Relationship, Family and Children’s Counsellor and also as a supervisor. In her private practice, Silvia enjoys working with individuals, couples and children. In her work with children she often uses role play and sand play therapy as a very immediate and fun way to access the deeper process of what the child wants to express. Silvia speaks several languages and provides therapy and supervision in German and Swiss German. Find out more about Silvia’s therapy practice here.